I joined the Ticketmaster team five months ago to help build a platform that drives both internal and external product innovation worldwide. 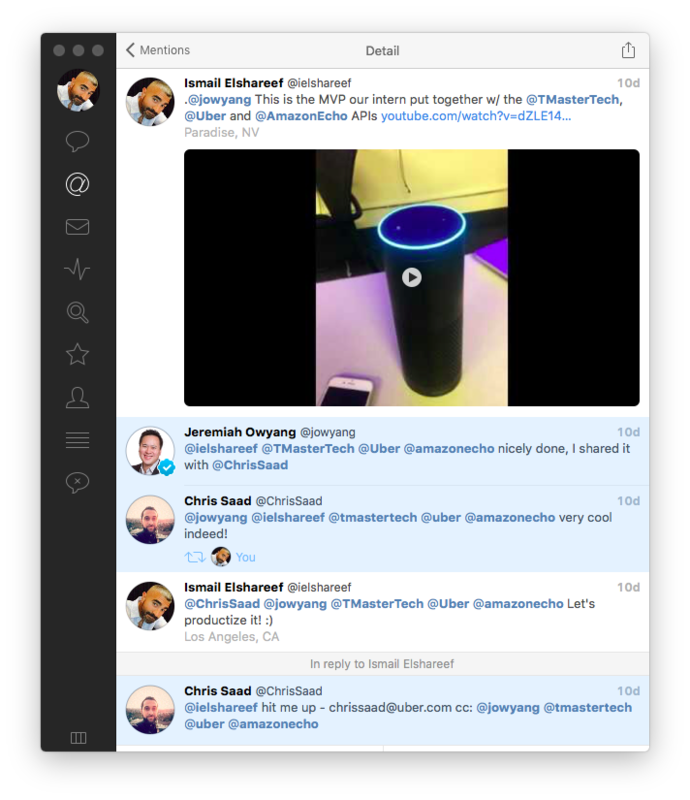 The gateway to this platform would be a set of empathic APIs that developers love. 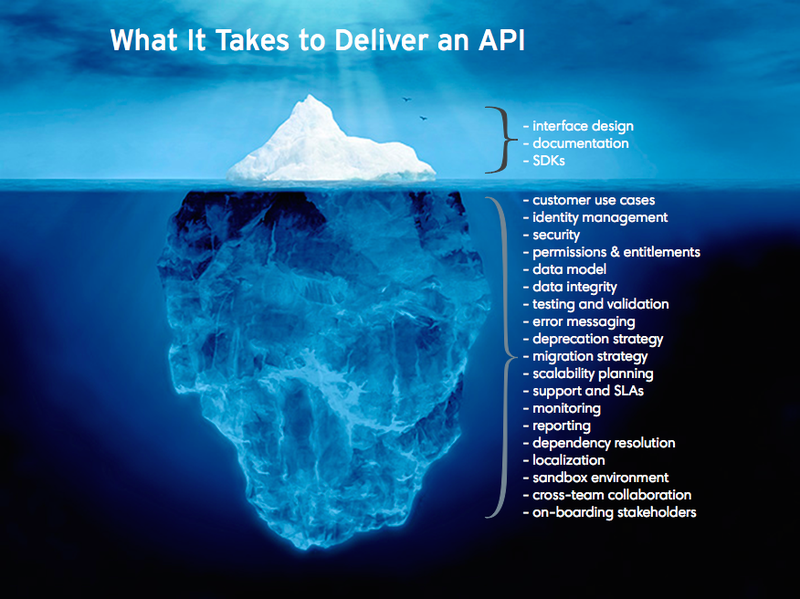 Our customers are the API clients (see below) who will need to use the platform without having to learn the intricacies and understand the complexities of our systems. At Ticketmaster, we see ourselves as the engine that powers unforgettable moments of joy for fans everywhere. That’s our purpose. That’s our promise. We were just reminded of the impact our work has on fans when Adele tickets went on sale in North America two weeks ago. The emotional impact and the memories we help create are very real. In order to continue delivering on our promise, we have to embrace a platform on which 3rd-party product innovators can bring those moments of joy to fans. We have to democratize the creation of compelling, innovative products powered by our APIs. The second law of thermodynamics tells us that entropy, or disorder, in a closed system can only increase over time. 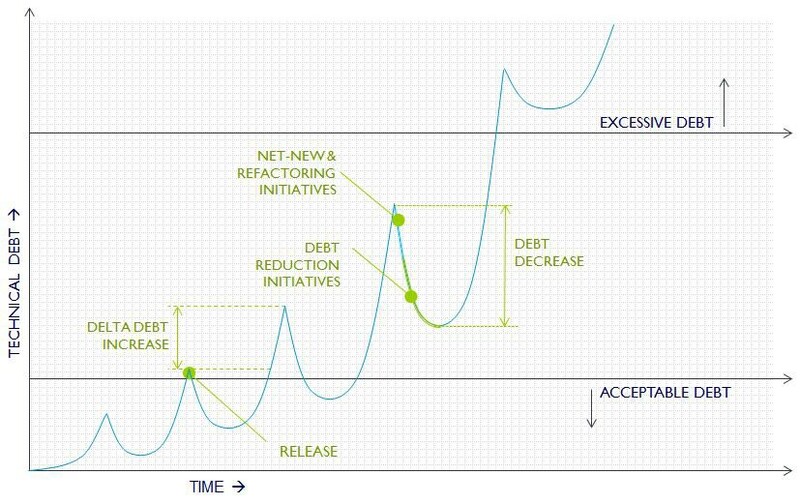 The same applies to a “closed” platform where software entropy takes on many faces like system complexity, technical debt and low data quality. On the other hand, an “open” platform, like any open system, tends to work out its “disorder” over time through open-source style collaboration and input from the developer community. The feedback developers give on the quality of the data and APIs helps reduce that entropy. Even designing APIs with “open” in mind has an impact on entropy reduction. It forces the team to simplify and abstract complexity where possible. To ensure fans get tickets to any live event they want on the Ticketmaster platform, we’ll need to become the definitive marketplace for all live events, much like Amazon is the definitive marketplace for consumer goods. Earlier this year, we acquired both Front Gate and Universe ticketing platforms, and soon their events will be available on the Ticketmaster website, mobiles apps, and the APIs. 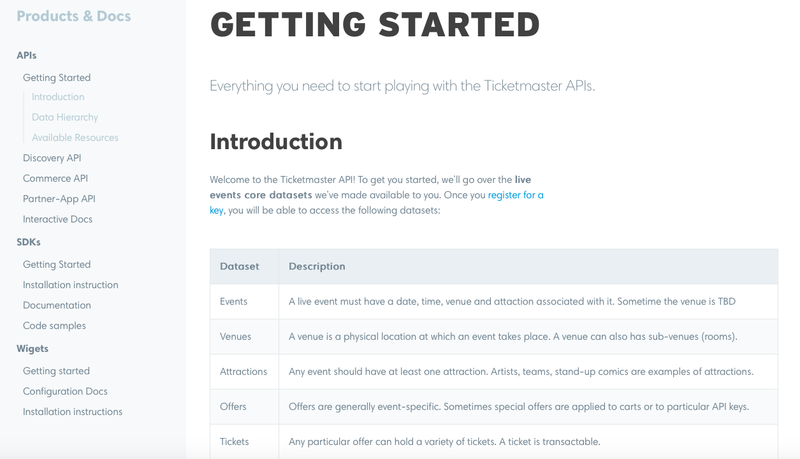 in 2016, 3rd-party ticketing companies can reach the millions of fans that come to Ticketmaster by publishing their events to the Ticketmaster platform using a Publish API. In the end, any experience built with our APIs will give fans access to the widest array of live event catalogue on the market today. When a platform puts out open, predictable and intuitive APIs, it attracts entrepreneurial developers with specific product ideas in mind. Oftentimes, those are out-of-the-box ideas with unknown or untested product/market fit. Using APIs, those developers can run fast with their ideas. This process helps the platform provider (i.e. Ticketmaster) evaluate the feasibility of ideas without the overhead that goes into building them into products. For example, two days after we internally announced the availability of an event search and discovery API, one of our interns asked for an API Key and went on to create a winning prototype at a hackathon in just under 30 hours (see below). He used the Ticketmaster API to create a live event search app on the Amazon Echo with the ability to later book an Uber ride to the venue. The prototype caught our attention and we’re now in talks with Uber to see how we can bring it to market. 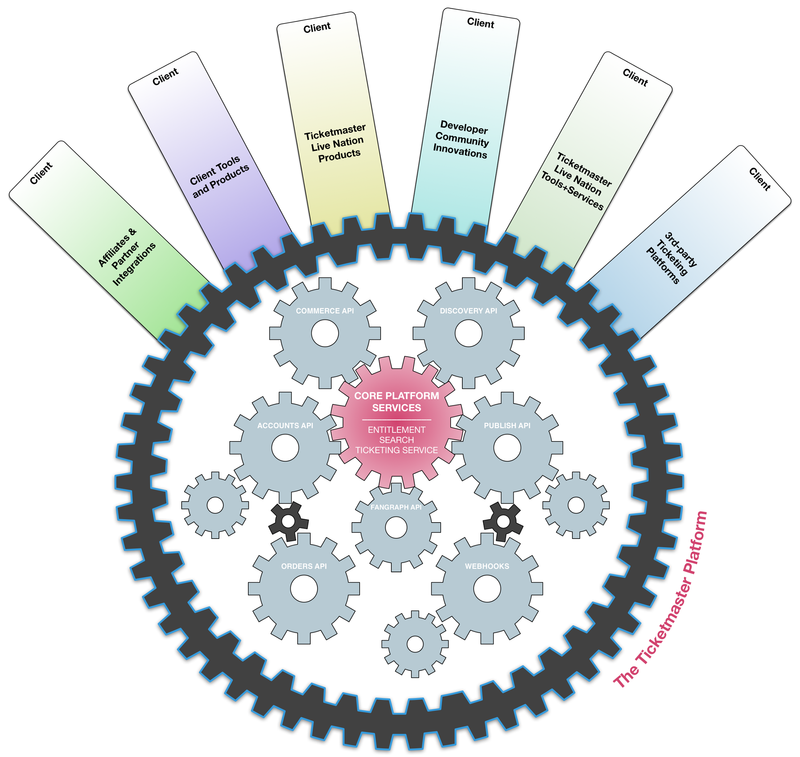 An intrinsic characterstic of an “open” platform is its network effect. The more producers of value (i.e. application developers) you have on the platform creating apps and experiences for fans, the more consumers of value (i.e. fans) that that platform attracts. The more fans you have on the platform, the more attractive it is to developers, and so forth. 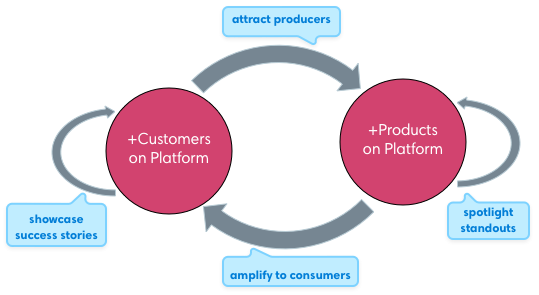 All along, the growing platform renders the business a robust ecosystem for both producers and consumers of value. On January 16th, we will be soliciting feedback from developers on our new developer portal and APIs. We want to delight developers as much as we like to delight our fans. We want to extend the same enthusiasm and promise to developers by focusing on the developer experience, or DX. This will ensure that our open platform is actually providing what developers need in the way they need it. 2016 will be the year we provide open APIs, hold public hackathons and fully engage the developer community worldwide. To stay abreast of what’s coming down the pike, follow us on Twitter, subscribe to our Medium Publication and tech blog. Observer. Engineer. Cyclist. Surfer. Reader. Traveler. Head of Consumer Products @ Ticketmaster/LiveNation. Stories on Technology and Engineering from Ticketmaster.